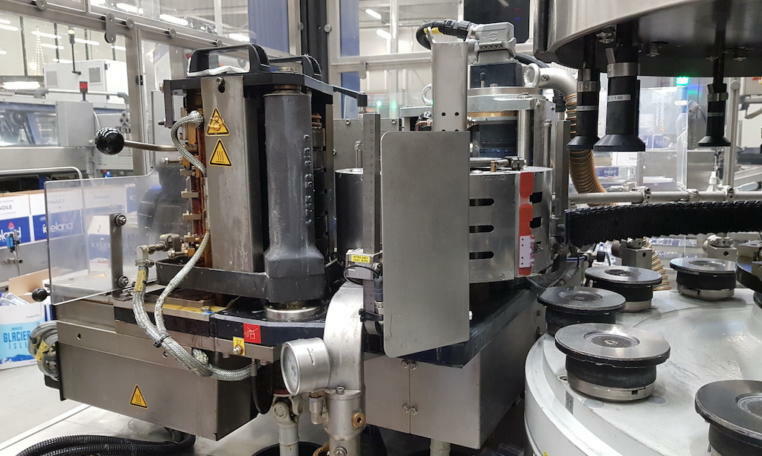 The CONTIROLL container labeler allows handling of reel-fed wrap-around labels of plastics or paper. 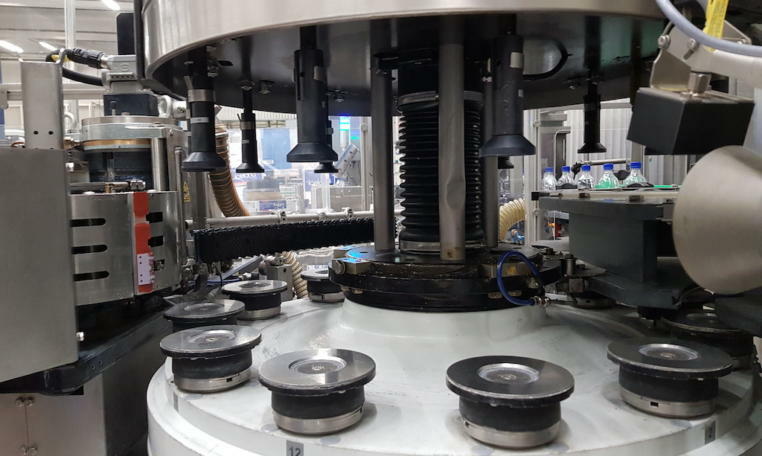 The rotary type labeler, which is adapted optimally to the required nominal output by 720 mm pitch diameter and 12 centering stations. 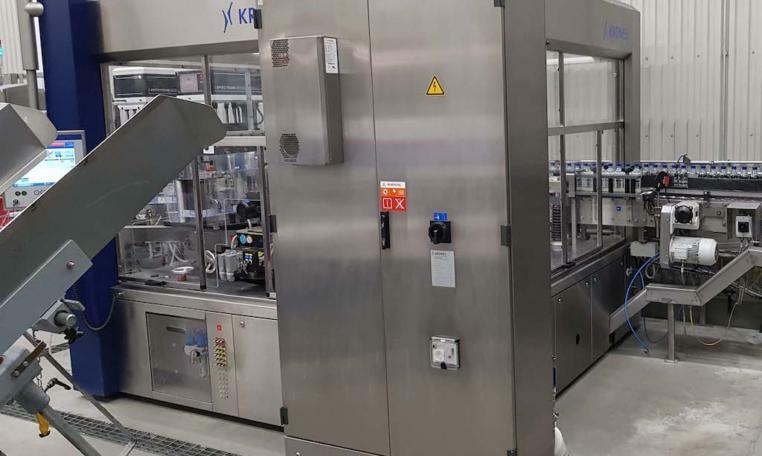 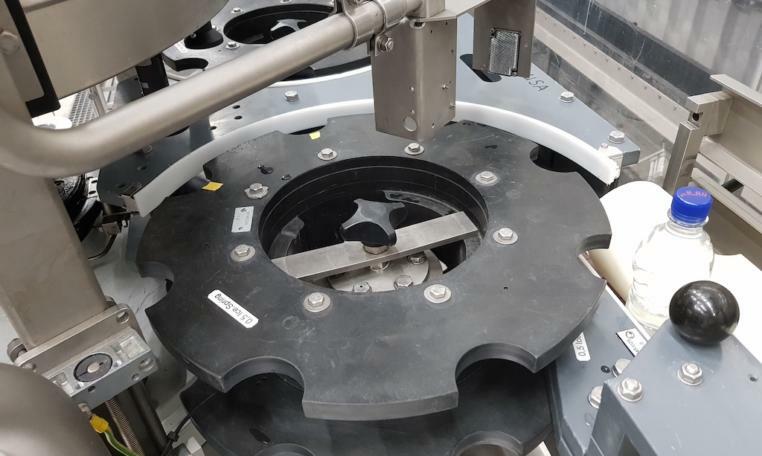 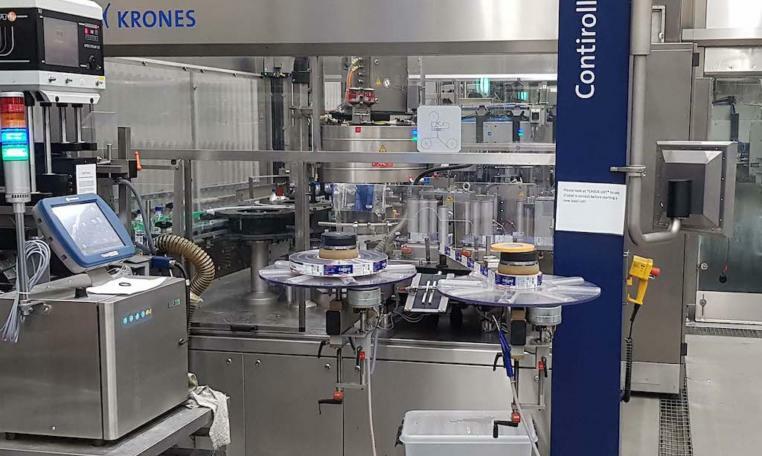 The containers fixed in the centering stations are positioned by the plate control exactly for label transfer and rotate during the labeling process. 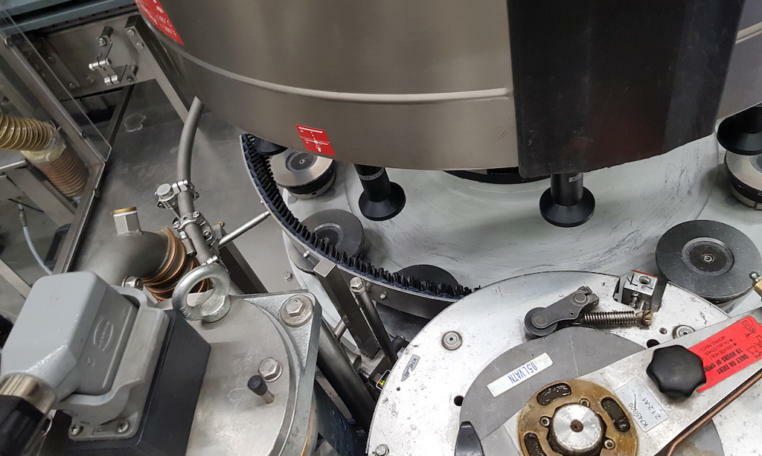 The Contiroll uses leading and trailing edge hot melt gluing. 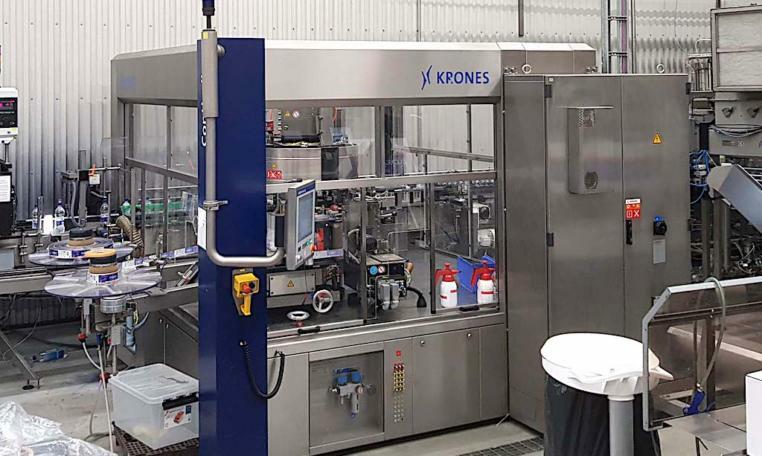 This Krones Contiroll labeler was used for labeling 11 water bottle designs in sizes 0.33L, 0.5L, 1L and 1.5L. 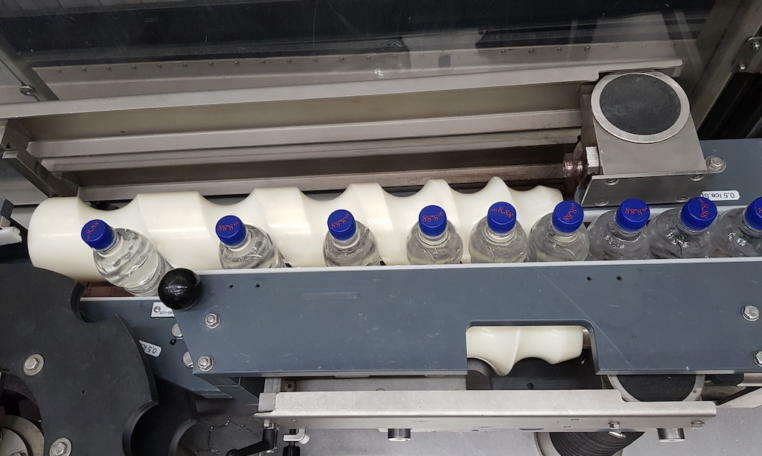 The bottles are both round and square and one used the camera system to correctly orientate the bottles (using an emboss). 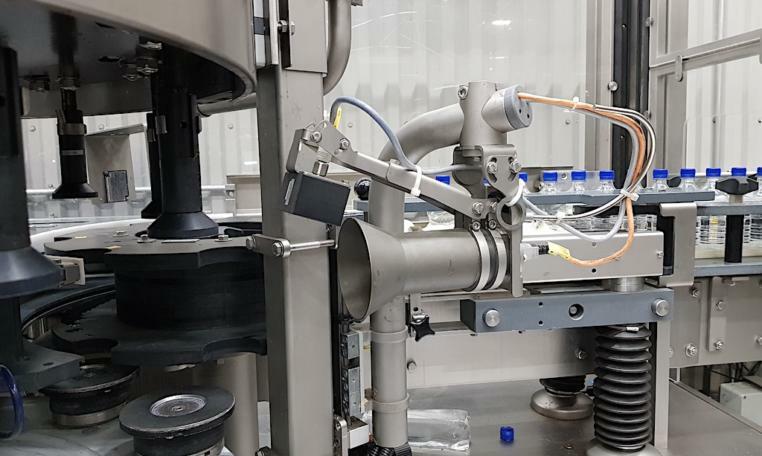 The labeler is designed for 21,000 bph of all the bottle designs.